Are you looking to buy an insurance plan but don’t know where to start from? Rewardhealth.co.uk is here to bring you all the information you need to know about insurance. 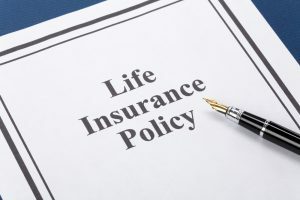 On this website, you will learn about different types of insurance, including life insurance, auto insurance, property, insurance, business insurance, and social insurance. The website contains the criteria you can use in choosing an insurance plan that suits your situation. Plus, it looks at various famed insurance programs, such as Medicare, Medicaid, CHIP, and UK Indemnity health plan. If you’re wondering whether insurance is a form of gambling, rewardhealth.co.uk discusses this in detail to help you understand the relationship between the two. Insurance refers to a means through which you can protect yourself against financial loss. It is provided by an entity called an insurance company, insurance carrier, or insurer. A policyholder or insured is a person or entity that purchases insurance. An insurance policy refers to a contract between an insurance provider and the buyer. This contract contains the claims that the insurer is required to pay the insured for any form of loss covered in the policy language, in exchange for premiums (regular payments made by the insured to the insurer). Depending on the details of the contract, your insurance provider will compensate you for financial losses, including lost profits, replacements, and repairs. An insurance claim is a notification that an insured makes to an insurer that a certain amount of money is due for payment as agreed in the policy terms. In other words, it is a contractual benefits payment request made by the insurance buyer.